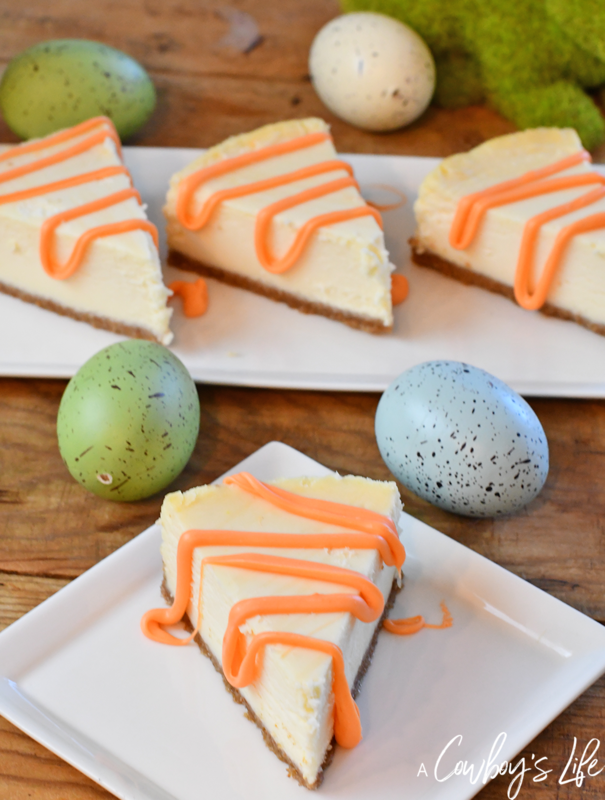 An Easter brunch dessert cheesecake that has orange chocolate drizzled on it. 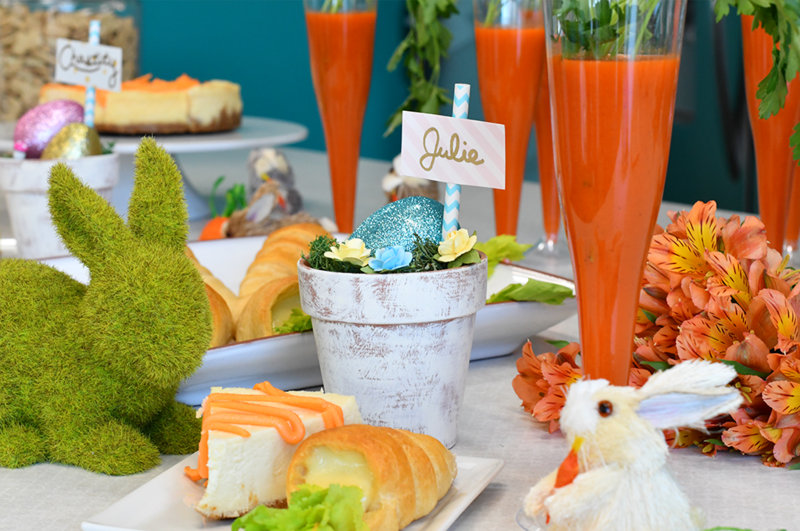 Plus a look at how to host a fun Easter Brunch. Spring has sprung and Easter is just a few weeks away. 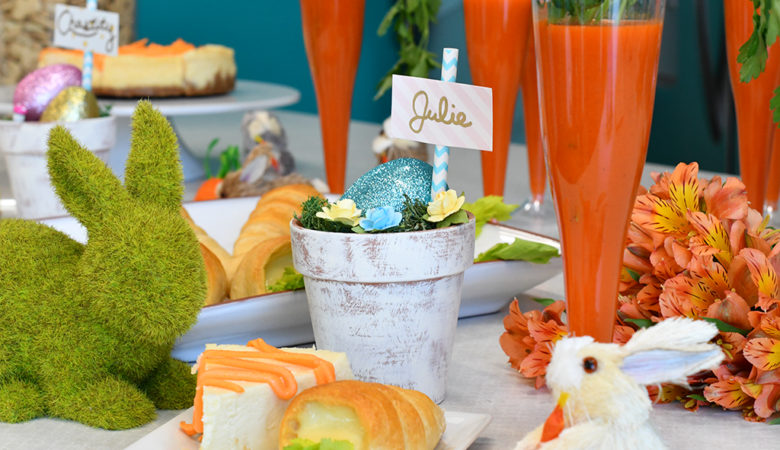 Spring means flowers, sunshine and a great excuse to have brunch with friends and family! Easter is always a big event for my family. Picking out a new Sunday Easter outfit and waking my son up to surprise him with a basket filled with goodies is something we do every year. 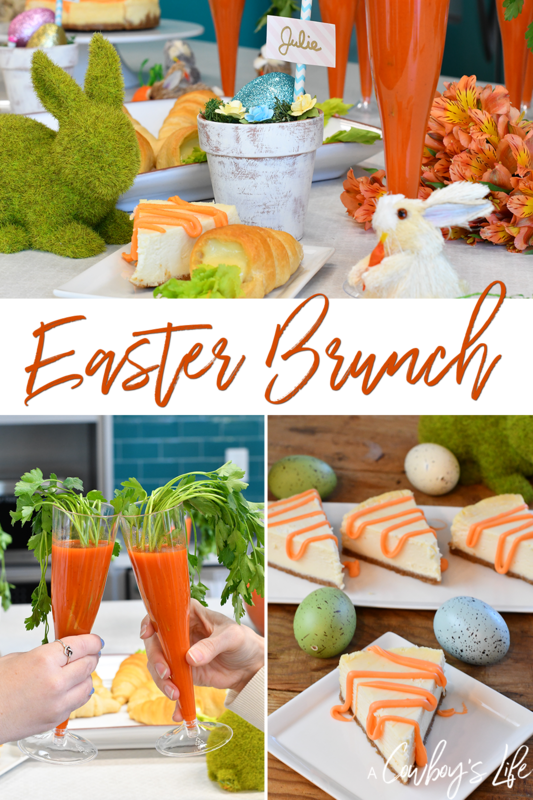 Throwing an Easter brunch is easy to put together and something everyone will enjoy! 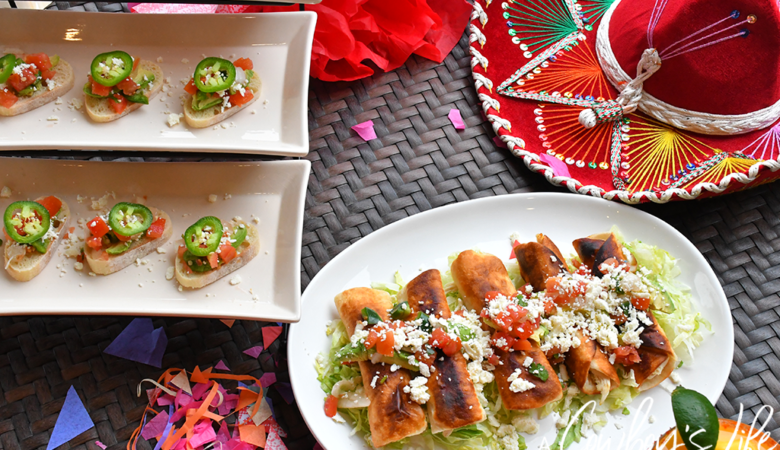 The key to any party is to keep it simple so that you aren’t stressing over all of the details. 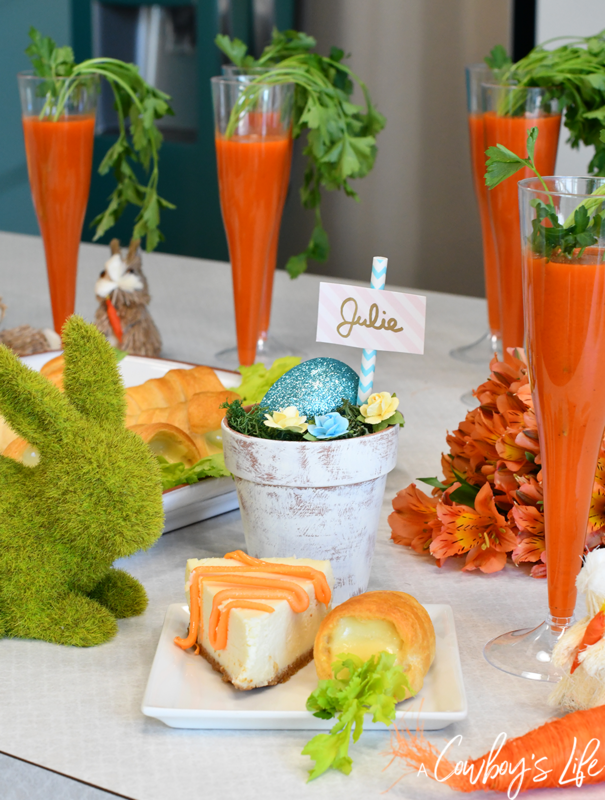 Check out the links below to find out how to make these adorable place settings, drinks and appetizers from a few of my favorite bloggers! 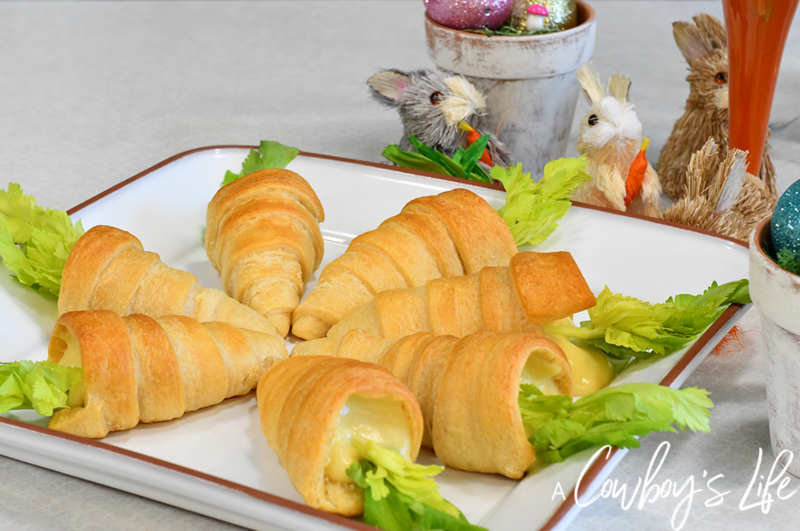 They are a must have for any Easter brunch gathering. 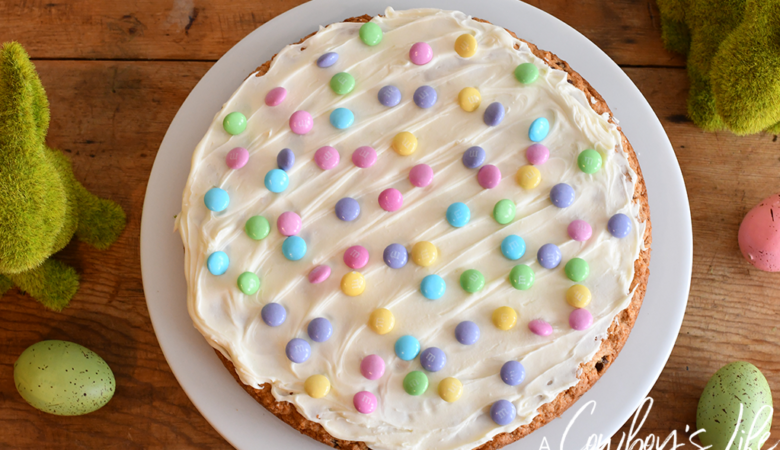 This super simple Easter Cheesecake is the perfect sweet treat for any brunch. 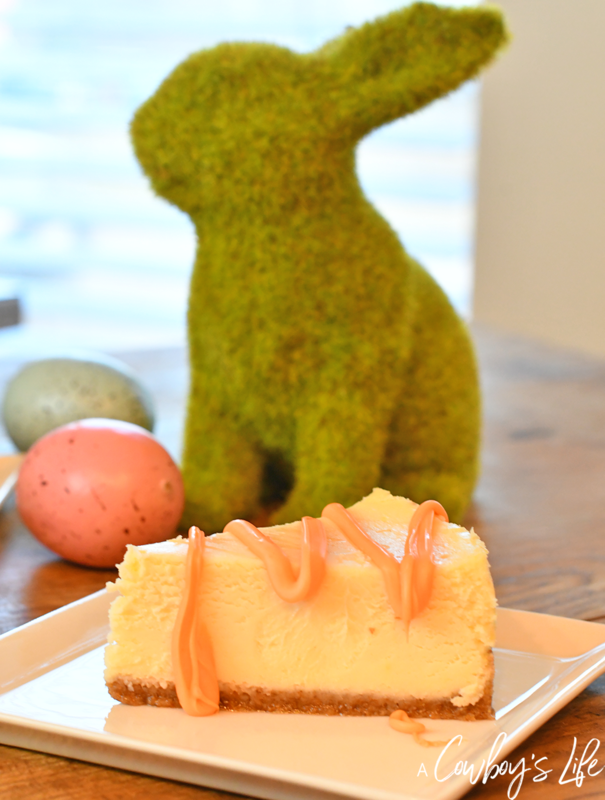 All you need is to bake your favorite cheesecake recipe or pick up a store bought one. Melt white chocolate and stir in orange food coloring. 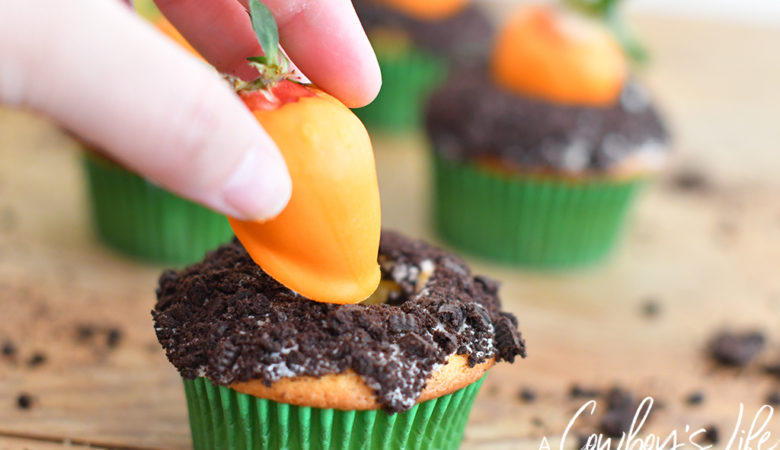 Drizzle the orange chocolate over the cheesecake, place on a plate so they look like carrots and serve. 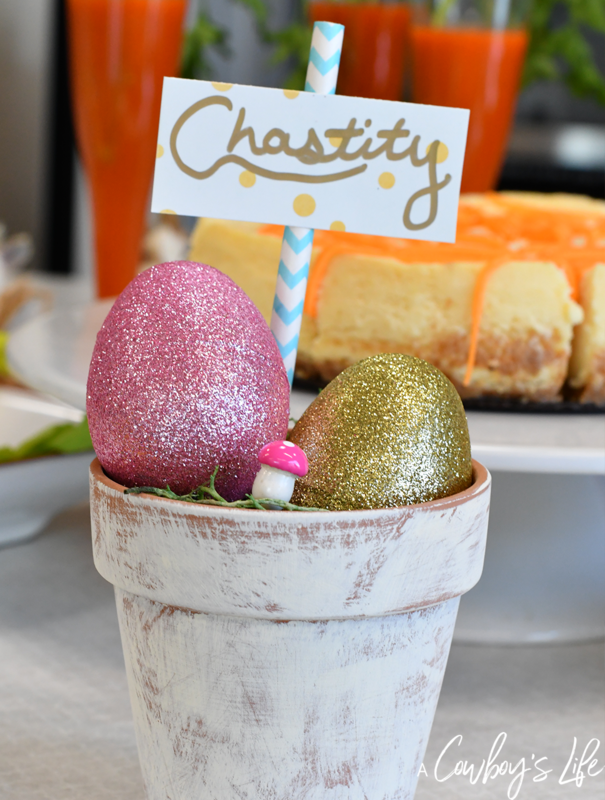 I hope these easy entertaining Easter brunch party ideas inspire you to host your own soiree this spring! 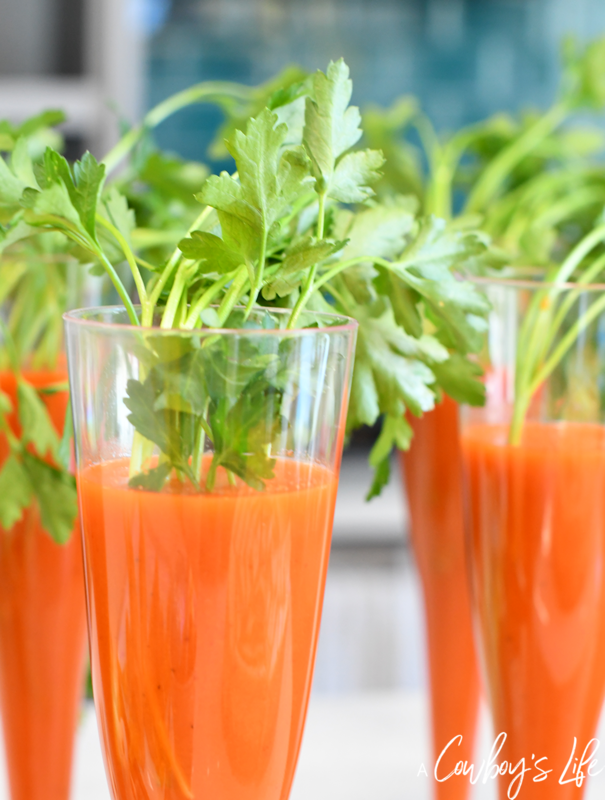 It’s certainly the perfect excuse to invite your friends over to enjoy fantastic food and drinks.